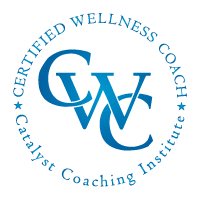 We have designed several program options for to earn your designation as a certified wellness coach (CWC) in an efficient and meaningful way. The Fast Track program begins with a two-day live training event held every few months in Colorado as well as a series of ten wellness webinars of your choice that can be completed on your own time. You will be immersed in the world of wellness coaching with other individuals from around the country. We keep our class size small so that you have a chance to connect with other coaches in your class, as well as with your instructors and mentor coaches. It is a fun and supportive environment! We also offer a comprehensive Distance Learning option for you to become certified as a wellness coach from the comfort of your own home. The only difference from the Fast Track program content is that you can complete all of the course requirements online. Together we will explore “big picture” wellness, current trends in the wellness field and how to discuss health and wellness from a holistic viewpoint. We also have fun connecting with other participants from around the country and learning how they plan to use their certification. We will focus on several theoretical approaches to wellness coaching including the Transtheoretical model of change (behavioral change models) and motivational interviewing and skills. We will discuss different areas of coaching such as: independent wellness coaching; corporate wellness coaching; coaching within a physical therapy clinic, doctor’s office, yoga studio, recreation center, integrative health practice and more. In addition, we will talk about the role of temperament in setting goals that fit the specific client’s unique temperament and have fun learning about the influence our own temperament plays on our coaching style. In order to be an effective wellness coach, you need to practice coaching! Therefore, we will provide ample opportunities to practice your newfound knowledge in stages of change and motivational interviewing skills with real life client scenarios. Finally, you will have the opportunity to coach a client with a mentor coach listening in to provide specific feedback to you on what is working well with your coaching and what specific things you will want to continue to focus on in your training. As part of certification, you will complete ten webinars on topics of your choice (approximately 1.5 hours each in length). You choose the webinar topics that best fit your interests, client population and background/experience. We also cover specific client scenarios for each topic and address ways to provide coaching that is consistent with the guiding style of coaching. You will be provided with a handout for each course to use as reference material as well as a 10-question quiz. International Consortium for Health and Wellness Coaching (ICHWC).